If you're thinking of joining a health club, look at family-friendly gyms that work for moms, dads, and kids too. When your gym offers something for everyone, you all reap the health and fitness benefits. Plus, you'll get more for your membership dollar. Start by compiling a list of possibilities: places you pass on your route to work or your child's school; clubs to which friends or acquaintances belong; places you've seen advertised. Then use the criteria below to zero in on the family-friendly gym that's right for you. First and foremost, what kind of exercise do you already enjoy or know you want to try? Is a pool a must-have or a nice perk? What types of classes are offered, and how often? Does the gym have certified personal trainers available (for one-time or ongoing assistance)? How crowded are the classes and machines at peak times? Is there an indoor track, if that's important to you? When you want or need to bring kids with you to the gym, will they have a place to go? Do you want them to be able to take swim lessons or shoot hoops while you're working out? What are the rules for tweens and teens, in terms of access to facilities and classes? Are your kids the right age for a child care program, and if so, what are the program's hours and policies? Find out what kind of training is required of staff members who work with kids, and whether there are extra charges for care. Visit the child care areas and make sure they are clean, safe, and stocked with activities that you approve of (i.e., make sure kids are not just watching TV in there). If the gym is too far away, or you can never find a parking place, you may not use it. Location is really important, so try to find a gym that's close to home, work, your child's school, or wherever else you spend a lot of time. Check the hours of the gym and the class schedule. If the classes are great, but conflict with your schedule, see if you can do better somewhere else. Find out, too, about other amenities that can make gym-going more convenient. This could include bike racks, locker rentals, towel service, and a snack bar. Fees can vary tremendously even at the same gym, depending on what kind of plan or contract you get. 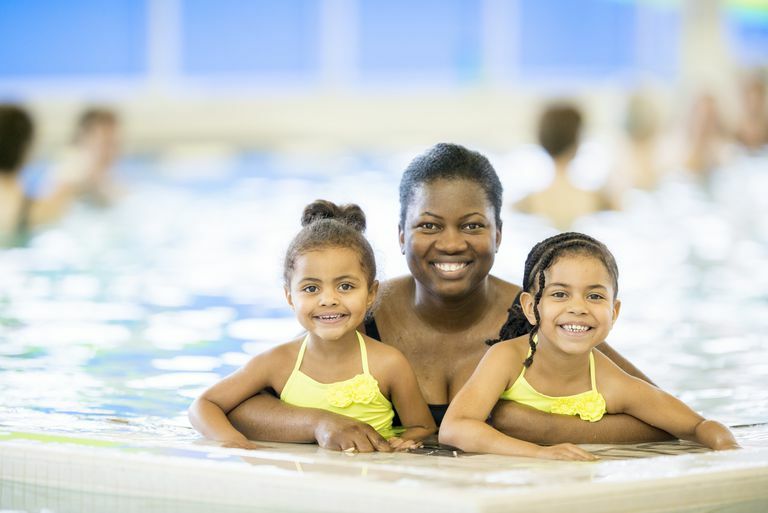 Look for deals for a family membership (sometimes kids 5 and under are free) and find out if your employer or your spouse's entitles you to a discount. Your health insurer may also cover part of the fee or help you get a discount. And family rates are often a better deal than individual plans. Read the terms of the contract carefully. Is there a penalty for canceling? Can you put your membership on hold if you need to (say during the summer months or if you have a high-risk pregnancy)? Will the classes you really want to take cost extra? How about child care services? It's common for gyms to charge an extra fee for those. Be sure to visit all the gyms you are considering and take a tour. Better yet, ask for a guest pass so you can try before you buy. Is the facility clean and well-maintained? Are members encouraged to spray or wipe equipment after they use it? Is the staff friendly, helpful, and knowledgeable? (Ask about certifications and qualifications.) How about the other members: Would you feel comfortable exercising alongside them, or are they intimidating? Overall, does the place feel welcoming? Does Your Kid Want to Play Baseball or Softball?